If you’re looking for a job with an investment bank, mutual fund, hedge fund or commercial bank, this is the guide for you. 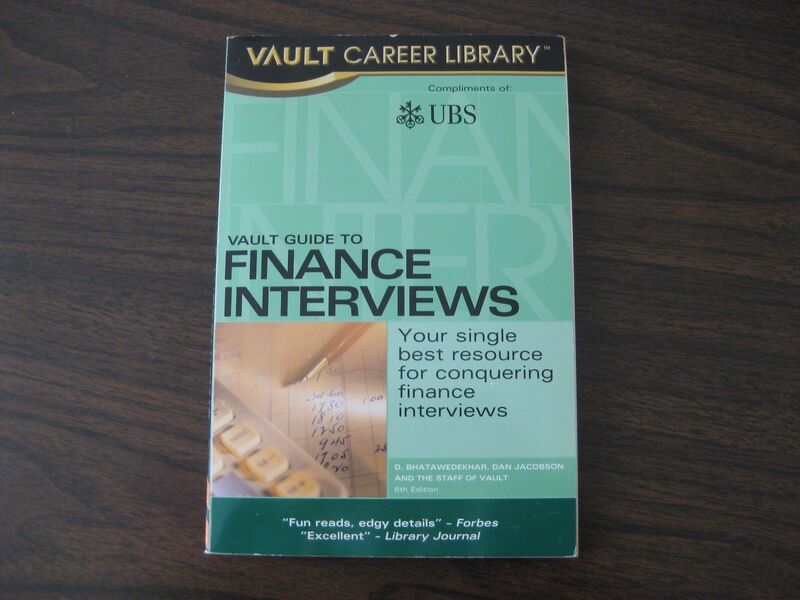 The Vault Guide to Finance Interviews is a must for your finance job search. This unique guide is loaded with sample questions, charts, formulas, and frameworks covering everything from accounting concepts to bond pricing, interest and exchange rate. Job seekers can prep for their tough finance interviews with investment banks and investment management firms.